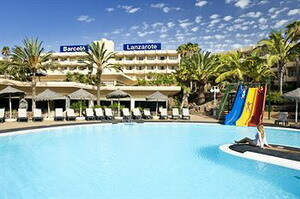 The Barcelo Lanzarote is a modern complex surrounded by tropical gardens, and situated 400 metres from Ancla Beach in the resort of Costa Teguise, on the island of Lanzarote. The resort and its immediate surroundings can be comfortably explored on foot, but the best way to explore the rest of Lanzarote is by car. 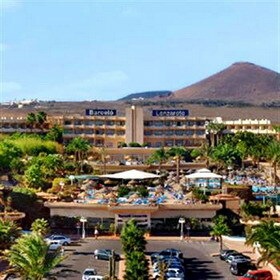 Local attractions include the volcanic sands of Ancla Beach, 400 metres from the hotel, and the majestic Timanfaya National Park, 28 kilometres away. 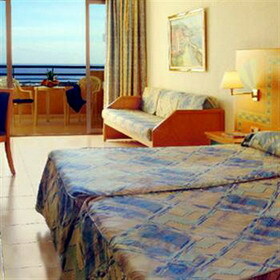 Lanzarote Airport (ACE) is 15 minutes by car, 15 kilometres from the hotel. The extensive tropical gardens are interspersed with sun- drenched terraces for sunbathing, and there are hot tubs, a sauna and solarium for further relaxation. Guests can take a revitalising dip in three lagoon-style freshwater swimming pools while for sports and fitness enthusiasts there are tennis courts, a gymnasium, and facilities for beach volleyball, French bowls and mini golf. 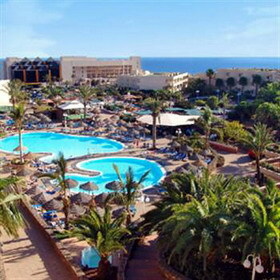 Guests can also try their hands at water polo and archery on site. 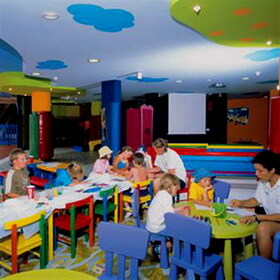 For children there are two further freshwater pools, a kids' club (ages 2-12) and a playground. Less active guests can head to the hair salon for a new style, or browse for souvenirs and postcards in the onsite gift shop. The Las Palmeras Restaurant offers buffet food, including regional specialities, while the Coco Grill Bar serves grilled meats, seafood and cocktails beside the pool. 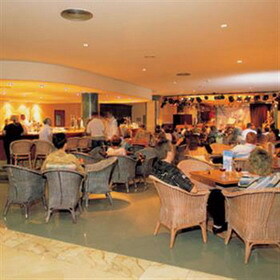 Cocktails, drinks and snacks are also served in the Atlantida and Timanfaya bars. Four event rooms provide facilities for seminars and social functions of up to 300 people, and complimentary parking is available on site. 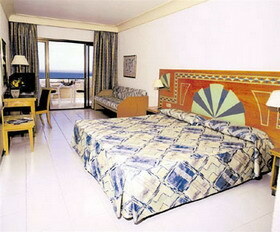 The 442 air-conditioned guestrooms feature a simple white decor and have balconies with sea or garden views. 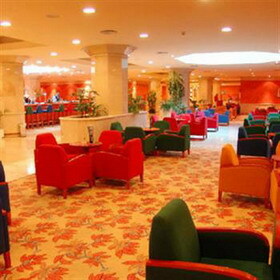 All come equipped with cable television, hair dryers, minibars and telephones.